Fort Myers, FL (June 15, 2015)— All Aboard Travel, Southwest Florida’s premier cruise and tour package travel agency, announced it is planning the travel and housing logistics for a private church group attending the upcoming World Meeting of Families 2015, and Papal visit, in Philadelphia, scheduled September 21-27. 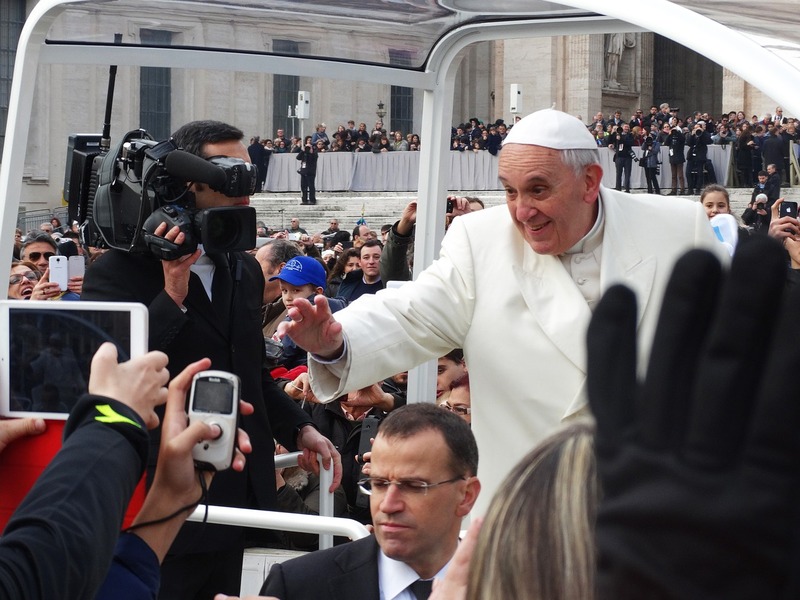 Naples’ Saint John the Evangelist Catholic Church has been working closely with All Aboard Travel to ensure its group will experience the once-in-a-lifetime opportunity to see Pope Francis. The World Meeting of Families is a triennial global event that is being held in the United States for the first time ever. The group from St. John the Evangelist Catholic Church will fly to Philadelphia on September 21, and return September 28. An All Aboard Travel agent expert will be on hand from the church to the airport, to see the group off. Detailed plans for Pope Francis’ visit have not yet been finalized and are expected to be released sometime this summer. However, the Holy Father is scheduled to visit Philadelphia September 25-27, to participate in the closing events of the 8th World Meeting of Families. These events include the Festival of Families, an intercultural celebration of life around the world, which is set to take place Saturday, September 26. There will also be a Papal Mass, on Sunday, September 27, which is open to the public. Saint John Paul II created the World Meeting of Families in 1994 to explore the critical role the family plays in society and to give families opportunities to talk about the challenges and blessings that all families have. There are still a few spots open for parishioners of Saint John the Evangelist Catholic Church to sign up to attend the World Meeting and see the Pope. The delegation from the church will be finalized by June 26. For more information regarding the trip or to register, please call April Williams at 800-741-1770, ext. 6409. For more information regarding the World Meeting of Families in Philadelphia and Pope Francis’ accompanying visit, please visit www.worldmeeting2015.org. All Aboard Travel is a premier cruise and tour package travel agency dedicated to providing clients with the best value when cruising to destinations all over the world. All Aboard Travel offers exclusive valued cruise packages that typically include reduced airfare with pre- and post- land programs that may consist of hotels, tours and ground transportation. All Aboard Travel has been in business for more than 20 years and is based in Fort Myers, Florida. It is part of Travel Leaders Group, which is the largest traditional travel agency company in North America with approximately $20 billion in annual sales volume through over 6,000 locations.